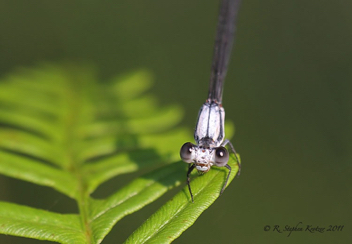 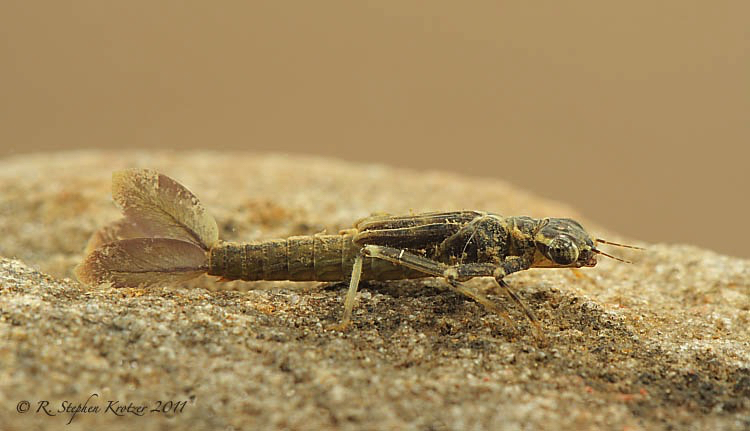 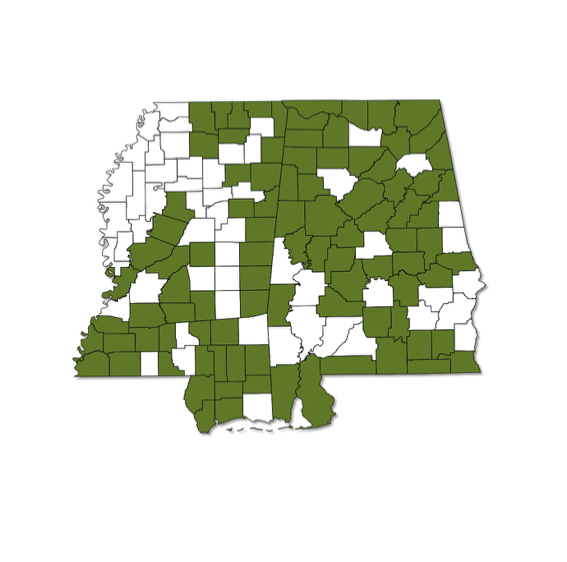 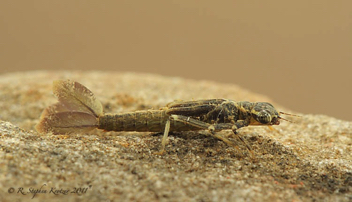 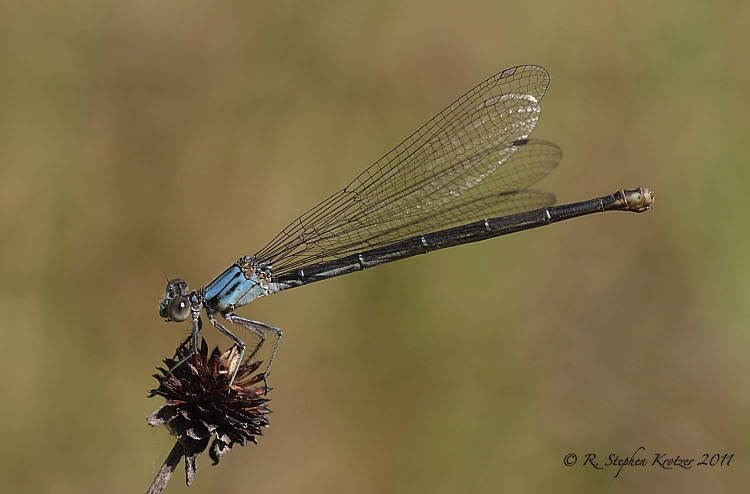 Argia moesta, the largest of the southeastern Dancers, is a very common damselfly throughout Alabama and most of Mississippi, although it is apparently rare to absent from the upper Delta region in the western portion of that state. 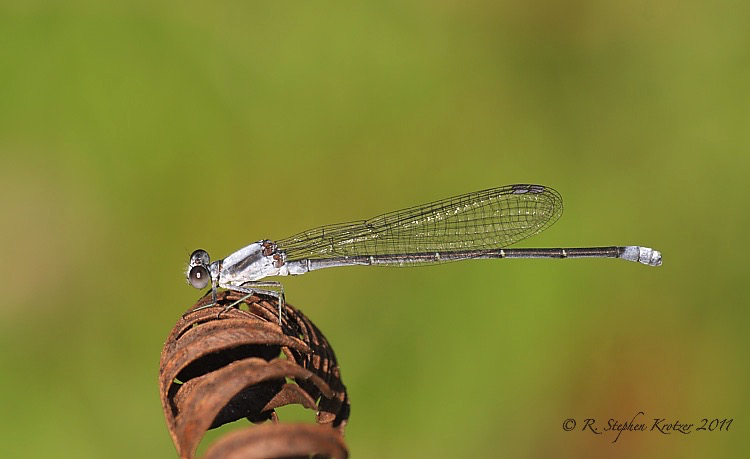 The species may be found along small to large streams, rivers, and large reservoirs. 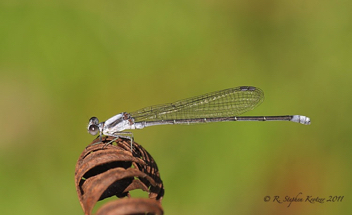 Mature males develop a whitish pruinescence on the thorax and face that distinguishes them from all other damselflies in our area. 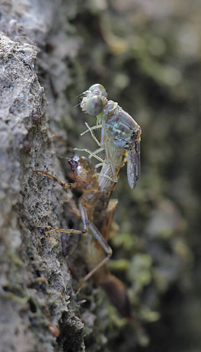 Females vary in color from blue to green to brown.